Discussion in 'Sager and Clevo' started by LinusF, Mar 14, 2017. Once the window is there, the hover effects of the buttons are somewhat delayed; except for the most recently hovered buttons. It looks to me like the Control Center has problems reading data from the hard drive at a reasonable speed. But then why the high CPU utilization? The Soundblaster X-Fi MB5 shows a very similar behaviour. It takes rather long to start and then each tab has a very long loading time when selected for the first time. My system's boot up, however, is very fast in spite of Control Center and Soundblaster X-Fi MB5 being loaded in the background. So the problem seems to be with the GUIs for both these programms. All other programms on my system including 3D games etc. run completely fine. It was definitely not like this when I started setting up my system, but as I had been installing a lot of software I cannot say what I did right before this started. I really don't want to start installing everything from scratch even though I know this might be the only way to finally get to the bottom of this. But maybe some of you have an idea what I could try? The problem started while I had the older version of Control Panel (v5.0000.0.36) installed that came with my notebook's installation CD. After re-installing did not help I also tried the newer version (v5.0001.0.58) from http://clevo.com/clevo_down.asp, but the behaviour is just the same. Regarding Soundblaster X-Fi MB5, I already seemed to have the most recent version. I tried deactivating my anti virus (Avast) and disabling all SSD features of Samsung Magician, both to no avail. That's definitely weird. Try uninstalling Avast and see if the problem goes away. It may have some hooks in something even though you tried with it deactivated. Thanks for the quick reply. I did as you suggested, but the behaviour is just the same after uninstalling Avast and rebooting. It would have surprised me if Avast was the culprit because it was the very first programm I installed. So it was already there during the time when I had initially installed Control Center and did not observe that weird behaviour. Hmm... I don't know. Very odd. Maybe there is just some kind of corruption with your Windows installation or the OS drive is having issues of some kind. I've not seen this (so far) with an SSD, but I have experienced very similar unresponsive/sluggish behavior with a HDD that was dying. Might not hurt to check your drive(s) for errors or problem codes. You can use something like CrystalDisk Info to check for SMART codes. What drive(s) do you have installed? @LinusF try double clicking it, this sometimes happens to me. I've never checked to see if it launches in the task manager, but I now simply double click it in the task bar to launch it and it opens at the speed it should. I've not much cause for concern since I use the app once in a blue moon, so as long as the important apps like HWinfo64 and TS are working perfectly I'm comfortable looking the other way. I'd say it likely comes down to being another case of inconsistent and sloppy software from Clevo. 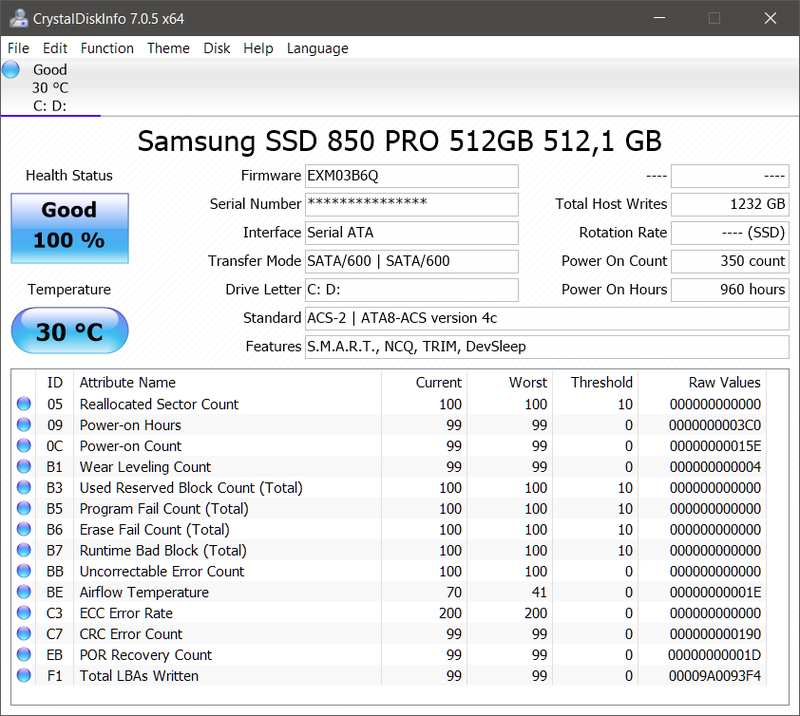 @Mr. Fox I have one Samsung SSD PRO 512 GB, no other drives. I never experienced any probelms with it. @TBoneSan I'm not sure what you mean. I always open the Control Center by double clicking its tray icon in the task bar's notification area. I just also openned it once by double clicking C:\Program Files (x86)\Hotkey\ControlCenter.exe directly in Windows explorer to see if that made any difference. I agree with you that I rarely ever use the Control Center at all. Its main purpose to me is to restore the keyboard illumination (off) at boot up. And for that I don't even have to open the GUI. It's possible to look the other way, but sometimes It just bothers me when something isn't working as it is supposed to. The laggyness of the Soundblaster X-Fi MB5 is more troublesome, because I use it more frequently to switch the Equalizer settings depending on the speakers/headphones I am currently using. Regarding the Soundblaster XF software you might be in a little strife diagnosing it since the user pool is pretty thin here. Mainly since most people don't like the bloat of it, which may essentially be what you've come to experience too. Most people just keep the system lean and use Realtek drivers. I do realise this may not suit you though. However, something to look forward to and I'm keen as mustard for is Brother @j95 's modded Realtek drivers. He's done some of his voodoo magic and got legit digital stereo Dolby working, amongst other goodies. Hopefully he'll chime in here and let us know if we'll be lucky enough to use it one day. Guys like him and @Prema should be on slow-to-react-and-lazy-Clevo's payroll if they know what's good for their future. Without their contributions there is no way in hell Clevo would have the cult status it has today. 4004 and Papusan like this. I really don't want to start installing everything from scratch even though I know this might be the only way to finally get to the bottom of this. It would likely resolve things, but wouldn't tell you what caused them. Have you tried a clean removal of those two programs via something like Revo Uninstaller? your 4K speeds are insanely high. 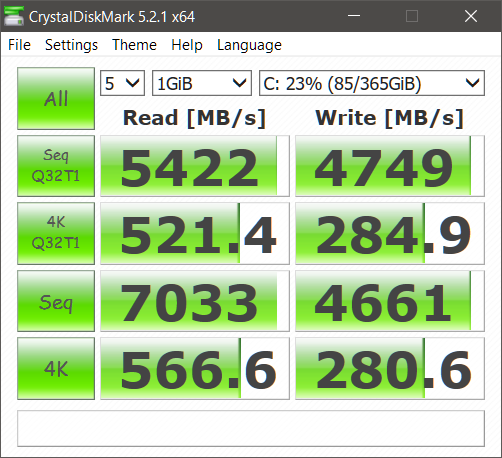 I bet you are using a RAM disk in which case, that would be benchmarking your RAM and not your actual SSD and it may be the cause of your issue as well.